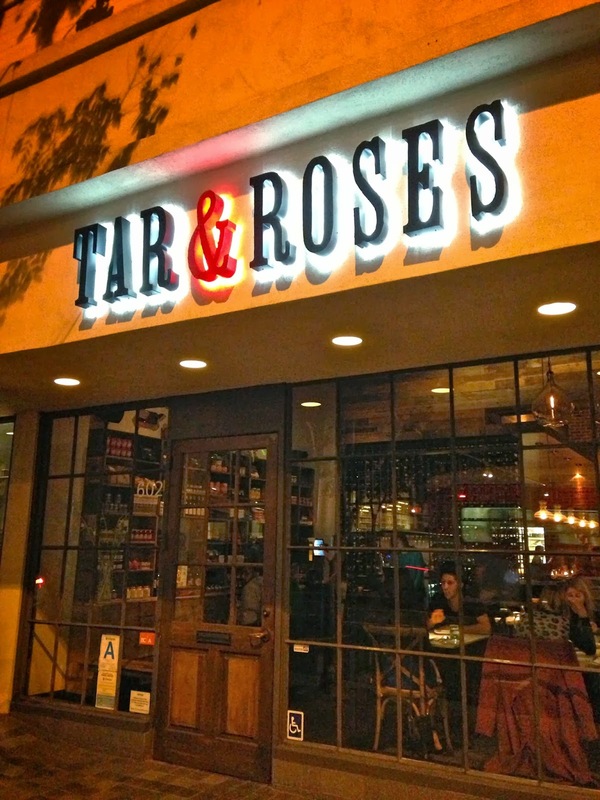 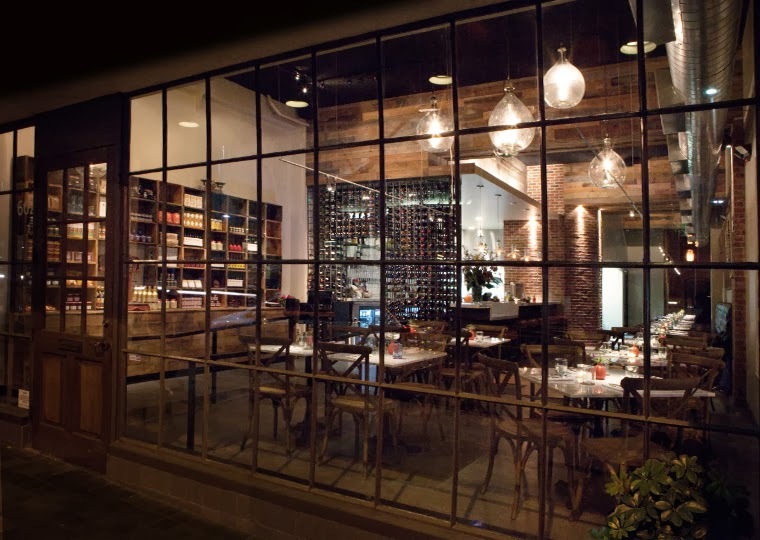 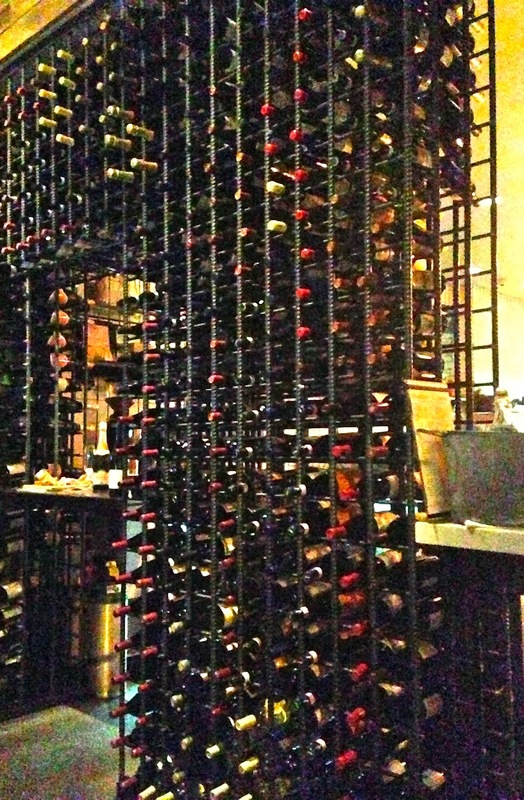 My favorite restaurant during my brief stay in Santa Monica was, hands down, Tar & Roses. 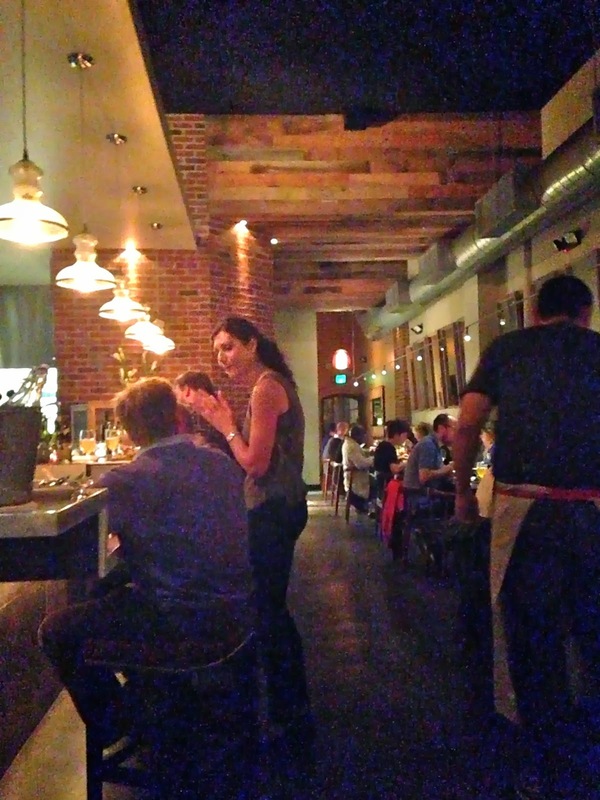 This spot was brimming with energy, great people watching, and food so good its still calling out to me in daydreams. 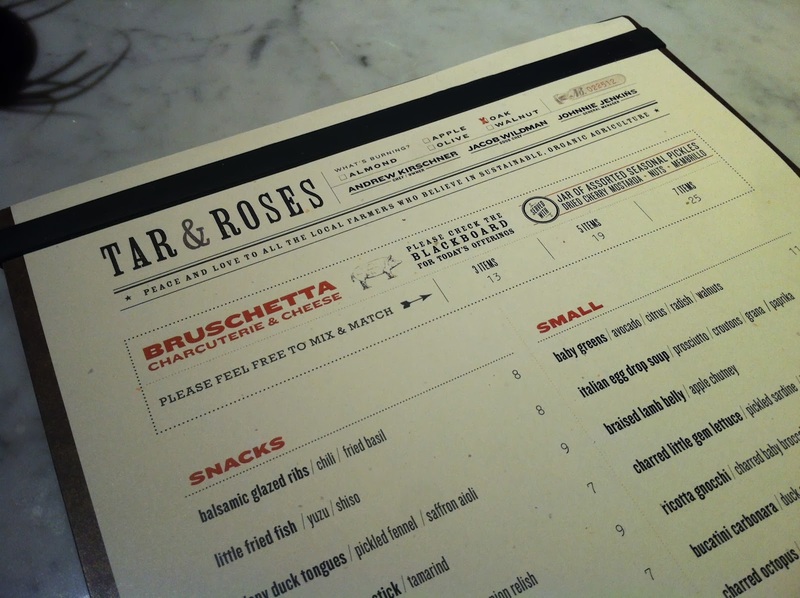 Do book far ahead, as reservations are being taken a month out now. 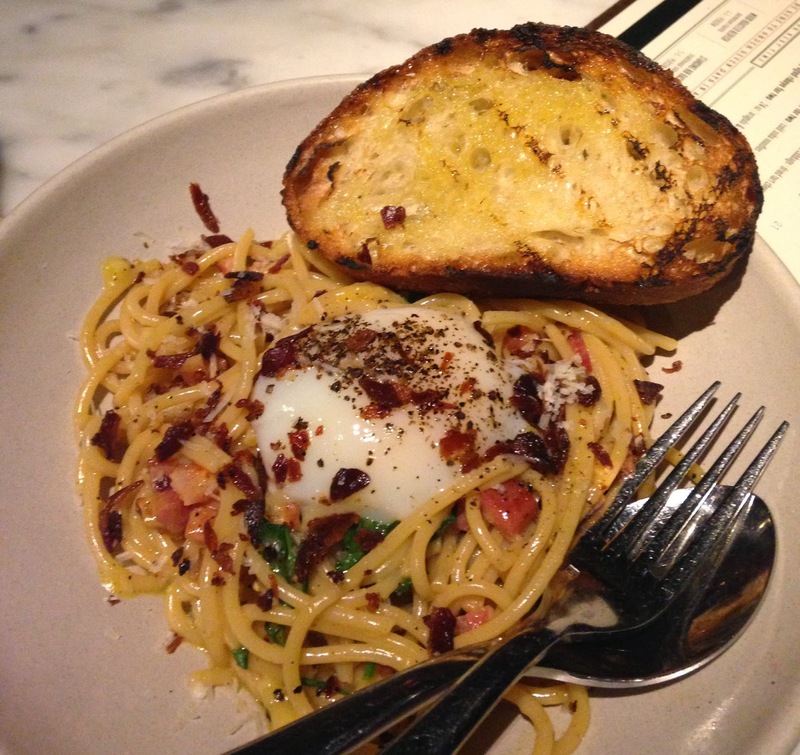 Then grab a few friends and order a slew of dishes to share and savor between you all. 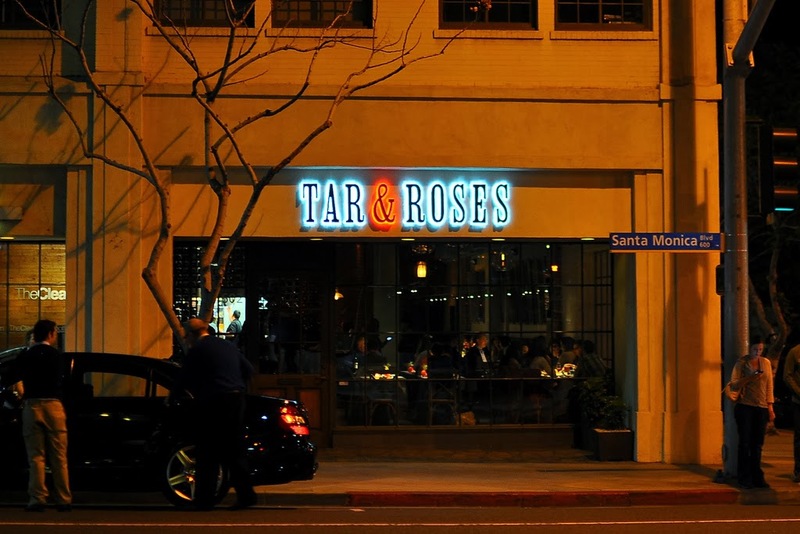 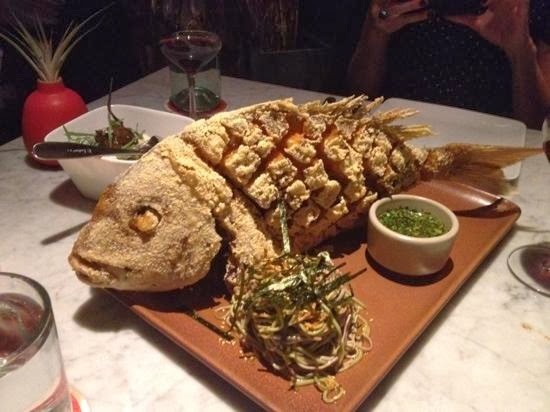 Voted one of the top 10 new restaurants in LA, Tar & Roses' menu features local and seasonal dishes, with an Italian flair, and come served family-style. 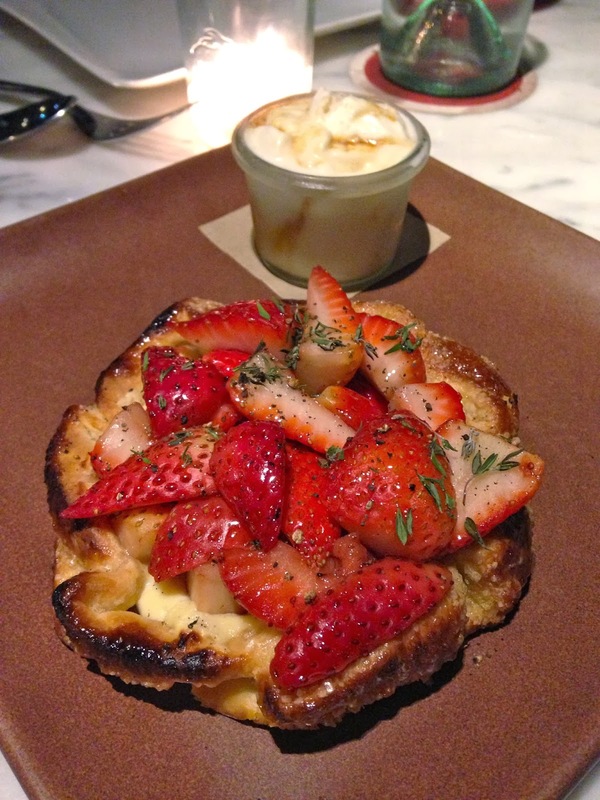 I've never said no to a dessert menu and this was no exception. 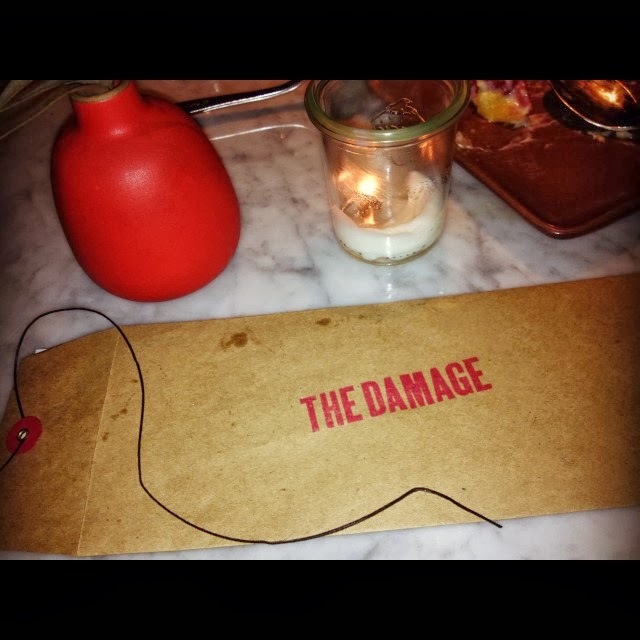 The bill comes in a tongue-in-cheek envelope stamped "The Damage", but after that food induced coma, you won't even know what hit you.